A. Lange & Sohne understands the importance of ease of reading, and magnificently incorporates it into the all new limited Grand Lange 1 “Lumen” with a semi-transparent dial that exposes the ingenious mechanism of the first luminescent outsize date display. Long known for its superbly bold date display, A. Lange & Sohne kept the complex mechanism for the function hidden behind a solid silver dial. 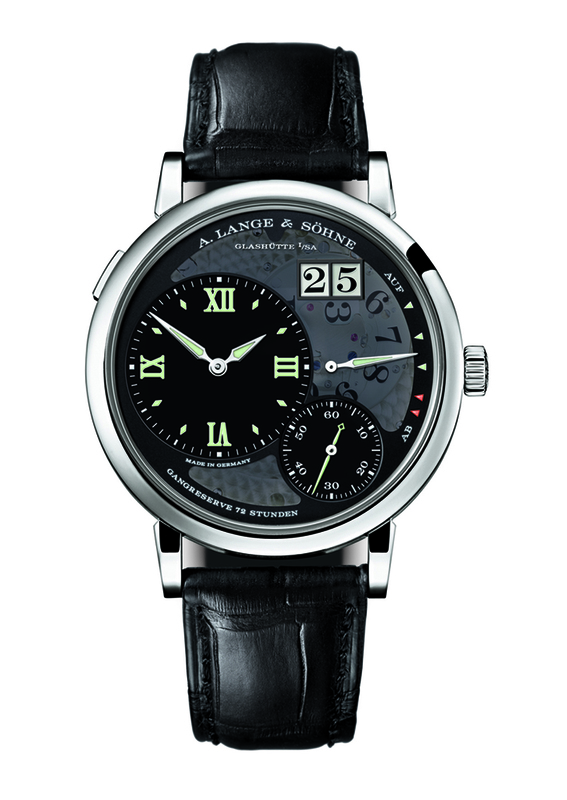 The Grand Lange 1 “Lumen” reveals the secret. The sapphire crystal surfaces of the dial reveal the disc mechanism of the firs outsize date to glow in the dark. The time and power reserve indicators also are legible in the dark. To achieve the luminosity took much research and development, and was ultimately accomplished using a multi-step process and contrasting luminous compounds. Just 100 pieces will be made in platinum.